Sign up for a free download of Industry Insider Screenwriting Contest - Allan Loeb Finalist Entries now! Download the finalist’s entries from the Industry Insider Screenwriting Contest - Allan Loeb now! "A group of married men desperate for one last bachelor party invents a long-lost friend who’s about to be wed, but things get out of control when their wives want to meet the groom before the big event." Congratulations to Joshua Rebell, winner of the Industry Insider Contest with his script, "Old Boys Club." "I’ve always felt that the best thing you can give a screenwriter is the knowledge that there’s someone, somewhere, waiting to read his or her finished script. That’s what gets us to the computer every day, and what motivates us to do our best work. One of the great gifts of this contest is that not only do you offer that knowledge, but you offer it in the highest order: the people who will be reading your script are exactly the people you want reading your script. There’s also a really wonderful sense – from the beginning of the contest on -- of how invested everyone at The Writers Store is in helping the finalists write a great script. From Mario's, my Story Specialist’s, weekly call to the amazingly detailed Development Notes after the rough draft, to the terrific, encouraging updates and emails throughout, there’s a great sense of motivation and professionalism that’s very inspiring. I can’t say enough about this screenwriting contest. If I could, I would be a perpetual finalist!" Think you can turn this logline from Allan Loeb, Screenwriter of Wall Street 2, Jack & Jill, Just Go With It, and The Dilemma into a killer script? A group of married men desperate for one last bachelor party invents a long-lost friend who’s about to be wed, but things get out of control when their wives want to meet the groom before the big event. First on the agenda? Lunch with screenwriter Allan Loeb at Robertson Blvd.’s uber-popular bistro, known for its steady stream of celebs and location near power-agency ICM. The winner will take in some serious knowledge and know-how from Loeb, while filling up on the Ivy’s famous nouvelle American cuisine. 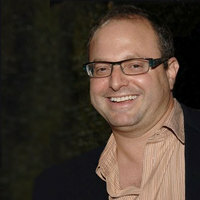 Screenwriter and TV Producer Allan Loeb works with some of the biggest stars and A-list directors in the business. He owns and runs production company Scarlet Fire Entertainment, and doctors 5 to 10 scripts each year. Allan created the 2008 TV series New Amsterdam, wrote and produced the 2006 Benicio Del Toro movie Things We Lost in the Fire, the 2007 hit film 21, starring Kevin Spacey, the Jason Bateman/Jennifer Aniston romantic comedy The Switch, Oliver Stone’s Wall Street 2: Money Never Sleeps, Ron Howard’s The Dilemma, the soon-to-be-released Adam Sandler comedy Just Go With It and Miley Cyrus comedy So Undercover. Upcoming projects include the supernatural thriller Visibility and the Kevin James MMA fighting comedy Here Comes The Boom.